[Via Satellite 07-08-2014] Thuraya is stepping up its efforts to commission its next set of satellites, with CEO Samer Halawi telling Via Satellite that the operator expects to issue a Request for Information (RFI) to manufacturers in the next couple of months. “We are focused on this. You can expect an RFI to go out to satellite manufacturers in the next two months. There is a lot of activity going on here,” he said. The Mobile Satellite Service (MSS) sector has seen a lot of investment in new satellites with the likes of Inmarsat and Iridium investing aggressively in new constellations. 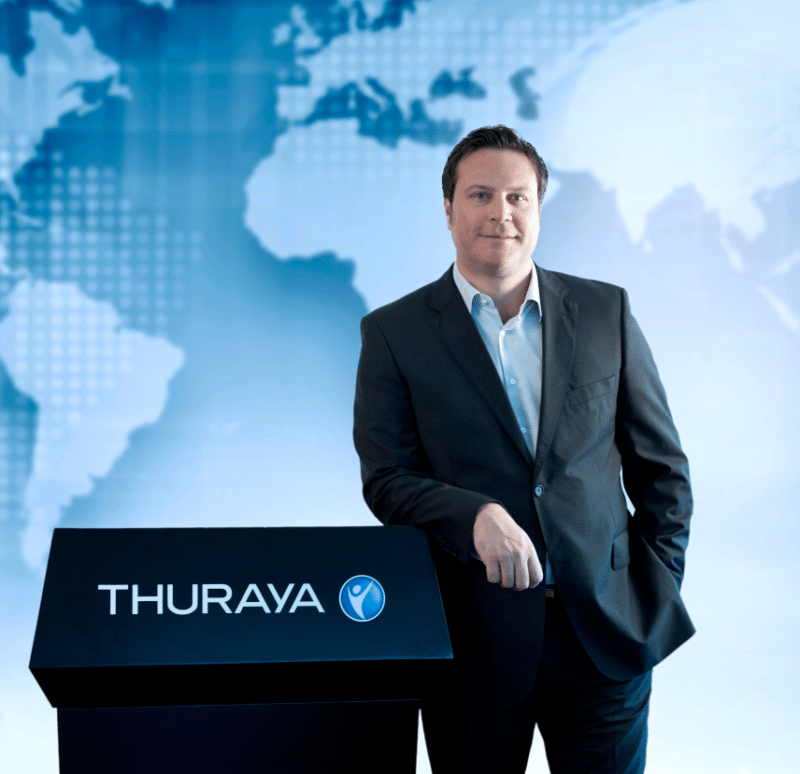 Thuraya aims to take a unique approach by starting with a new concept. There are still a number of decisions to be made. Halawi has been leading a transformation of the company’s business as the operator seeks to become a key player in the handheld and portable markets, as well as focusing on high growth regions such as Asia, and verticals such as maritime. The company has seen “dramatic” growth in Asia over the last three years, although it did admittedly start from a low base. But, Asia now accounts for 30 percent of Thuraya’s overall revenues, where as not so long ago, it was virtually zero. The company is seeing growth, notably, in its voice business. “What is interesting is the growth we are able to generate in the voice market. This was a market that had been declining, but for the last two years we generated growth from voice. We have had a good growth in the first quarter in voice. Asia has been a very good market for us,” said Halawi. However, while the operator is seeing encouraging signs in its business with new product initiatives such as ‘SatSleeve’ gaining traction, a lot will depend on its next set of satellites, which the operator hopes will catapult it forward as a major force on the MSS landscape. However, much work is still to be done before we know the exact make-up of this new system. There are many intangibles here.